First Bahrain Real Estate Development Co. (First Bahrain) – a leading regional real estate developer– today announced it had closed on an Islamic project financing facility with Kuwait Finance House – Bahrain (KFH-Bahrain) to develop a USD25 million warehousing and logistics facility. The project will be located at the Bahrain Investment Wharf (BIW), strategically located near the new Shaikh Khalifa Port due to open in October 2008. 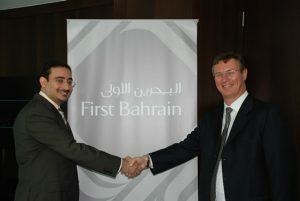 First Bahrain expands BIW warehousing development to 716,000 square feet in response to market demand. First Bahrain, a rising star among the region’s real estate firms, today announced the release of the company’s performance for 2007 ahead of their AGM. 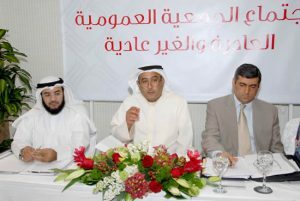 The 2007 figures released on behalf of the Board of Directors record a net profit of KD 4.85 million, a 29% improvement on the company’s performance in 2006. 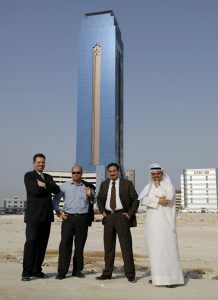 First Bahrain Real Estate Development Co. (First Bahrain) – a leading regional real estate developer with a paid up capital of KD 30 million – today announced the appointment of global consultants Mace to project manage its signature USD 450 million development, located in the heart of Bahrain’s Seef District. First Bahrain Real Estate Development Co.(First Bahrain) – a leading regional real estate developer with a paid up capital of USD 106,800,000 – today announced the joint openings of its two new offices in Bahrain and Kuwait. 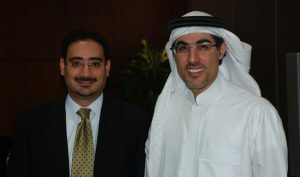 First Bahrain Real Estate Development, a leading real estate developer with a paid up capital of USD 106,800,000, has signed a strategic partnership agreement with Kanoo Information Technology (Kanoo IT) to implement an information technology solution which will significantly enhance First Bahrain’s business operations and controls.